Hiral Sanghavi needed $20,000 on Kickstarter to fund his BauBax travel jacket. He smashed that target and raised a whopping $9 million. 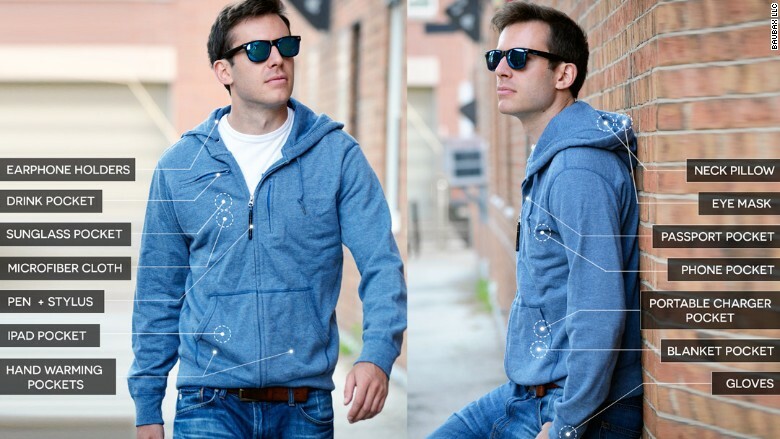 The crowdfunding campaign for the jacket with 15 built-in features was launched on July 7. Sanghavi had 58 days to meet the goal, but got there in just five hours. The jacket quickly became the most-funded clothing campaign "not just on Kickstarter but in the history of crowdfunding," said Sanghavi. It wasn't only the most-funded clothing campaign. 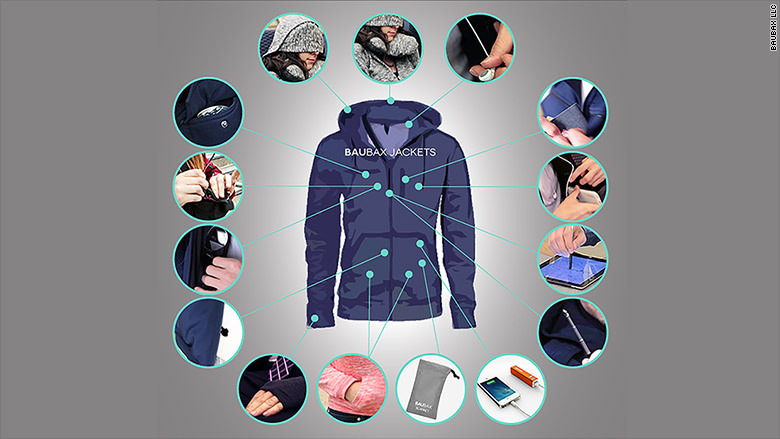 The BauBax jacket drive, which ended Thursday, also became Kickstarter's fourth-most funded campaign ever after the two Pebble Smart Watches and the multi-purpose Coolest Cooler box. "I knew we had a great idea, that we'd maybe get a million or two, but never $9 million," said Sanghavi. The travel jacket comes in four styles and is designed with multiple hidden functions to make commuting more comfortable and hands-free. Those include a neck pillow that inflates in two seconds, an insulated cupholder pocket and gloves concealed in each sleeve. Sanghavi's lifestyle inspired his wife, a designer to create the jacket. "She works on the West Coast and I'm studying for my MBA at the Kellogg School of Management [at Northwestern University in Illinois]," he said. "It's a long flight and I'd forget to take my neck pillow and buy a new one at the airport." He accumulated a few pillows this way, prompting his wife to suggest a jacket with a built-in pillow. "I thought it was a solid idea," said Sanghavi. They eventually added the other features. Sanghavi, 29, said the campaign resulted in 45,000 backers who ordered 70,000 jackets that are priced between from $89 to $120. He expects to ship those in November. He's lined up four manufacturers to make the four versions of the jacket. "This will also allow us to ramp up production quickly," he said. On Thursday, BauBax will start selling the jacket to the public through Indiegogo's ecommerce platform InDemand. Sanghavi hopes to ultimately get the jacket into retail stores in 2016. Sanghavi is taking a leave of absence from school and boosting staff. "We've gone from four to nine people in just a few months," he said. And he's relocated the company from Chicago to the San Francisco Bay area. "We're aren't stopping," said Sanghavi, adding that his team is already working on brand new products for next year.